The personal trainer and owner of Fit4ward on how he deals with email, what gives him energy and the book that changed his life. Jesse Schwartzman: Tip-toe by my 5-year-old son’s door and try not to wake him up. JS: Standing and moving my body. JS: Don’t let your body become stagnant, or so does your mind. Find creative ways to move every day and break the sedentary rhythm often. JS: Look to the Mountain — Lagrand Cannon Jr.
TG: Tell us about your relationship with your phone. JS: We are very close when I am in work mode, but we have boundaries when it is family/friends time. My phone is never invited to the dinner table. TG: Does it sleep with you? JS: Yes, on do not disturb mode. JS: I answer my important emails each day to have a clean inbox, and keep a to do list of things that can wait for tomorrow. JS: It all depends on what my nervous system demands: Exercise, walk in the woods with my dogs, breathe, feel the sun, or sit and drink something hot. JS: When I had a Corporate Wellness Director job and a long commute. I didn’t have enough time to wind down at night. JS: My biggest failure was dropping out of high school. I ended up with a Masters degree, but the failure gave me strength to know what it is like to hit bottom and work to climb upward. JS: “There are no wrong turns — only lessons learned.” My brother, Adam. 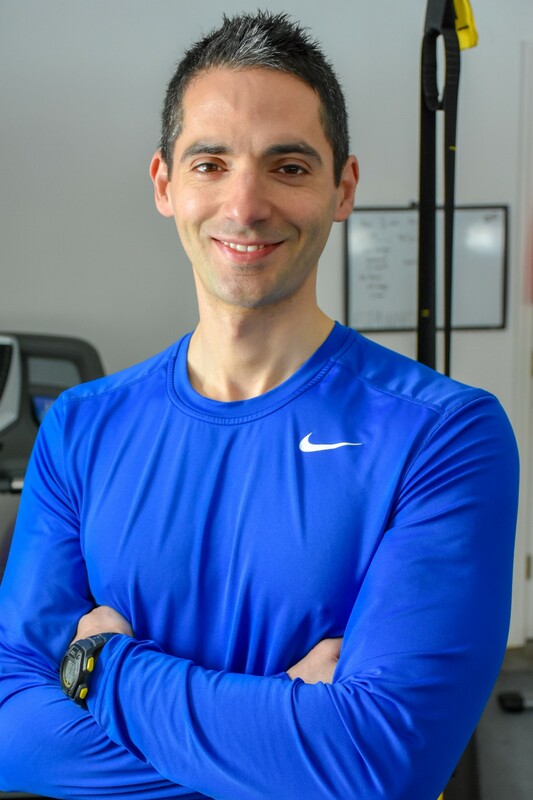 Jesse Schwartzman, MS, RD, ACSM CPT, holds a Master’s Degree in Nutrition and Applied Exercise Physiology from Columbia University, and is a Registered Dietician. Jesse, along with his wife Patty, currently owns and operates Fit4ward in NYC and the greater Fairfield County, CT, where he manages and engages in deeply personalized work with his clientele in all aspects of health, including one on one personal training, nutritional counseling, health coaching, group workshops, and the corporate setting. Jesse previously trained clients at the highest certification level at Equinox Fitness Clubs, and managed Equinox’s most elite trainers and exclusive clientele in the Tier 4 Program at the “E” club.